Women fashion is always evolving and converting into trendy styles and pattern that make a lady look sophisticated and trendy at the same time. Everyone loves to adapt new fashion trends and ways to adorn themselves in distinct style. Few of the fashion statements are so much dominating and appealing that they reserve their place in every style and era to ark the bearer with incredible sensuality. These kinds of mods assist you to maintain your personal style with changing fashion outlines. Classic styles blend with emerging fashion to enhance the vogue to make it acceptable for masses. Long array of related style trends can be witnessed with every seasonal fashion line, few of them are illustrated here to point out the basic elegance of style for remarkable personality enrichment. The most exotic women accessory in jewelry is sensual pearls that always stay in-fashion. Extremely elegant original lustrous pearls or just a replica can fulfill the desire of looking stunning at parties, casual dinners, church visit or embracing winters on the go. Mostly best in natural shades, they complement any color and style to make your stand out of the crowd as stupendous lady of the event. Grab the one if you don’t have yet one in your jewelry box and adorn yourself with exquisiteness. As winter puffiness, soft and smooth fur is the darling of luxury lovers. Faux fur wearable provides chic styling along with cozy comfort to cherish the chilled weather and high spirits of celebrations. 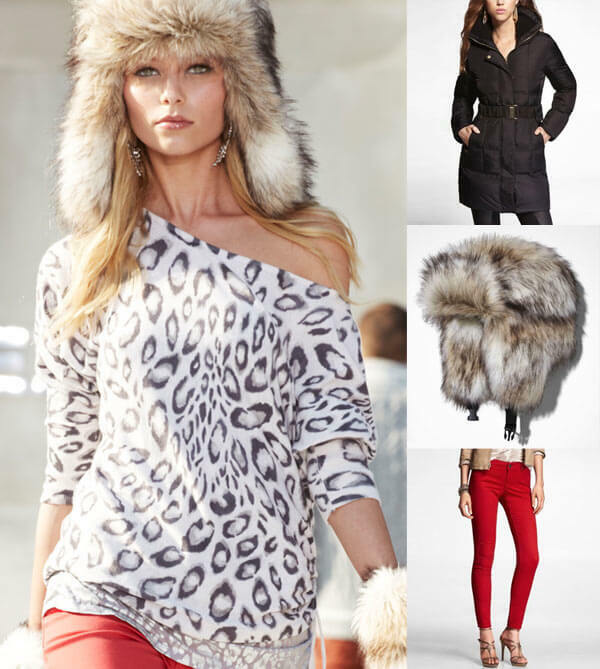 Incorporate faux fur products in variety of ways to flourish your winter wardrobe in panache manner. Starting from cute detachable fur collars to fluffy vocation jackets, scrumptious colored wraps, cozy warmer fur hoodie for casual styling, ankle wedges long boots embellished with heavy fur to stay warm and classy along with other accessories such as timeless fur clutches to attend traditional dinners are some of wardrobe tips to electrify your winter dressing. Red is the color of passion and merriments, which never goes out of craze. You can adopt this color for every happy and motivational occasion to increase the factor of liveliness. Red color on lips and nails looks as beautiful today as it looked many years before; it became the sign of classy and elegant glamorous personality of a woman. A lady with red lipstick appears confident and imposing to others. You can wear the lip color with surety of makingremarkable impact on the minds for lasting impression and preserve the grace by placing your photos to canvas cheap of your vigorous pose. Try to boost your persona with help of red lipstick and warm red nail color to complete the statement. It looks great with every or any kind of color and dressing. Dressing cuts and lengths are continually changing with respect to fashion craze, weather and cultural requirements. The grace and charm that a long dress entails cannot be shaken by any other style through the history. Stylish pencil skits and long maxi dresses are eternal signs of charisma to dress dazzlingly for dinner parties and corporate appearance. Girly knee length dresses also look awesome for casual wearing and can be enjoyed for sunny holidays, whereas maxi dresses are ideal on chic events along with exotic jewels. Pencil skirts are a symbol of poised women to dominate the world with professional and aesthetic skills. Although huge goggles remind us of old fashion era but they still rock the personality of a lady with enchanting beauty. You can go casual or style formally, both ways can carry big goggles very comfortably to mark the event in trendier and stunning approach. Previous Article← What Does your Wedding Jewellery say About You?